This is the fifth in a series of interviews with researchers in Educational Neuroscience, to showcase current work that aims to bridge the gap between science and the classroom. 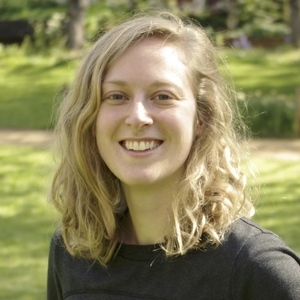 Delia Fuhrmann is a PhD student at the Institute of Cognitive Neuroscience at UCL. Hi Delia! Please tell us a bit about who you are and what your main research interests are. I’m currently doing my PhD with Professor Sarah-Jayne Blakemore and Doctor Maarten Speekenbrink at UCL. I am interested in human development, particularly development during adolescence. Adolescence is the period of life between puberty and relative independence. It is a stage during which the human brain undergoes protracted changes that have been linked to improvements in complex cognitive functions. I am interested in understanding how cognitive and socio-cognitive functions relevant to education change during adolescence and to what extent this development is susceptible to environmental influences like receiving cognitive training or being exposed to stress. Why did you become interested in social and cognitive development in adolescence? That’s a good question. I actually got into research because I wanted to study the behaviour of non-human primates like chimpanzees. Over the course of my studies, I became interested in why primates have such an extended juvenile period. In the context of other species, it is really baffling that humans take 18 years, or, let’s face it, longer, before becoming self-sufficient. I wanted to study what cognitive and socio-cognitive functions are changing during adolescence to understand why adolescence is so important for our development. Is there anything that educators can use from your research right now? A big question in education is when to teach what. Education policies often focus on early education as a key time for learning but there are now many studies showing that the human brain continues to develop throughout childhood, adolescence and into early adulthood. These developments in adolescence may provide a window of opportunity for teaching and learning complex cognitive skills. To test this hypothesis, we trained 663 participants aged 11 to 33 on three cognitive tasks, including a reasoning task. We found that the ability to learn reasoning increases over the course of adolescence and into adulthood. We think this highlights that earlier is not always better for learning (see summary here). What do you think the future holds for this field of research? There is a lot of exciting work in many different research groups going on at the moment. For instance, the Hallam Teaching School Alliance is looking at how spacing of teaching affects learning. I think this kind of work will yield practical insights that can really help teachers and policy makers improve schooling. Alongside this kind of applied work, I am hoping that educational neuroscience can also make some basic science contributions. To give an example, we know that the executive function and the ability to exercise self-control are related to educational attainment. However, interventions aimed at strengthening executive functions have yielded mixed results. I think it would be useful to take a step back and really try to understand what self-control actually is, and whether self-control might have separable components that develop at different rates and may respond to intervention differently. We also don’t know enough about how and when genetic and environmental factors contribute to the development of self-control. I think to answer these questions we have to perhaps become a little more interdisciplinary, combine our datasets or collect larger ones and also use more flexible statistical models.